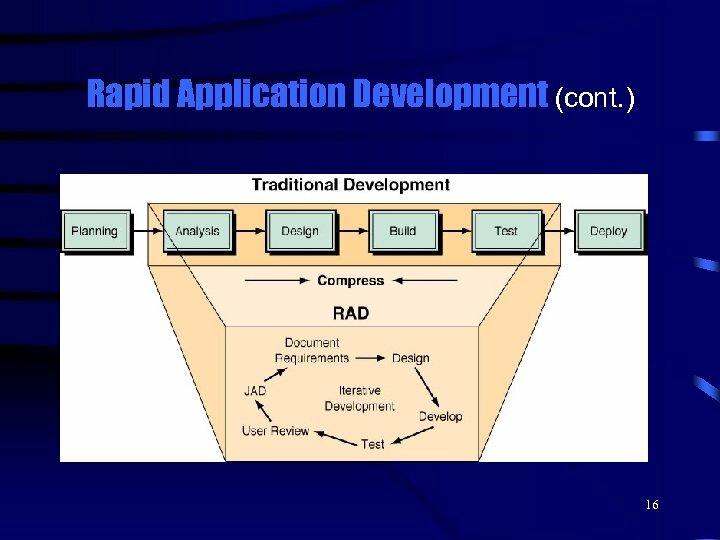 Joint Application Design Ø Joint application design (JAD) is a group-based method for collecting user requirements and creating system designs. 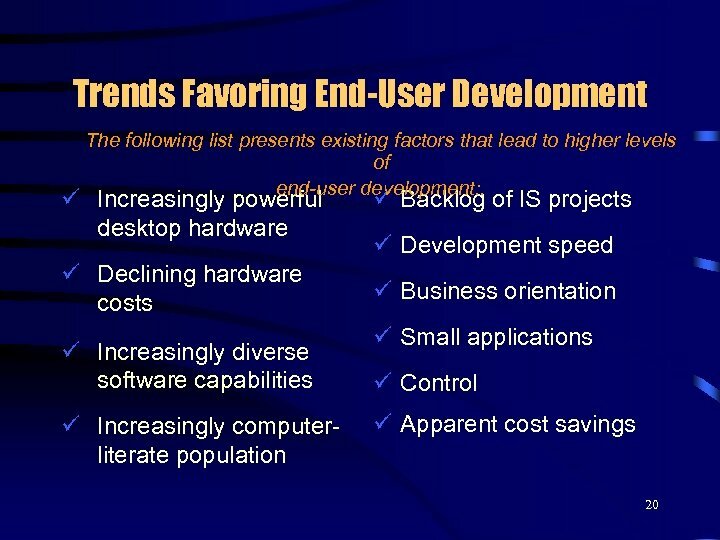 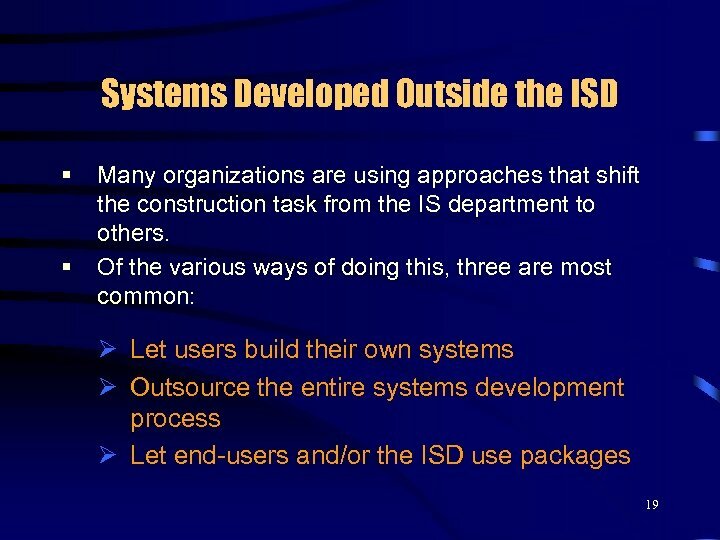 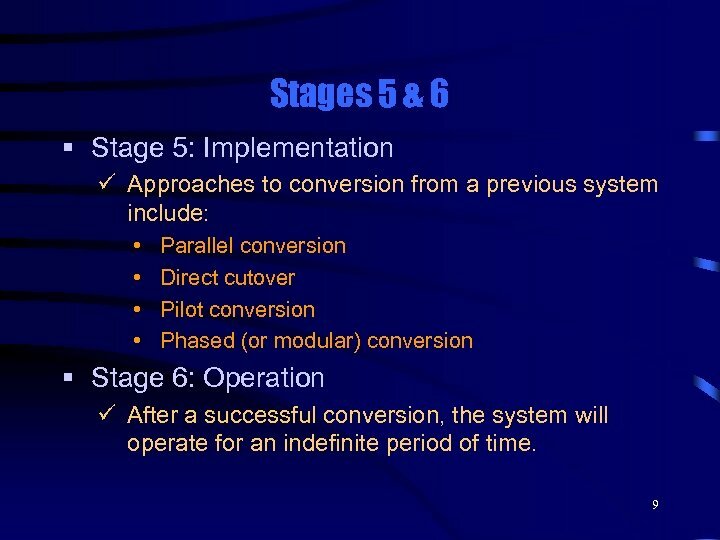 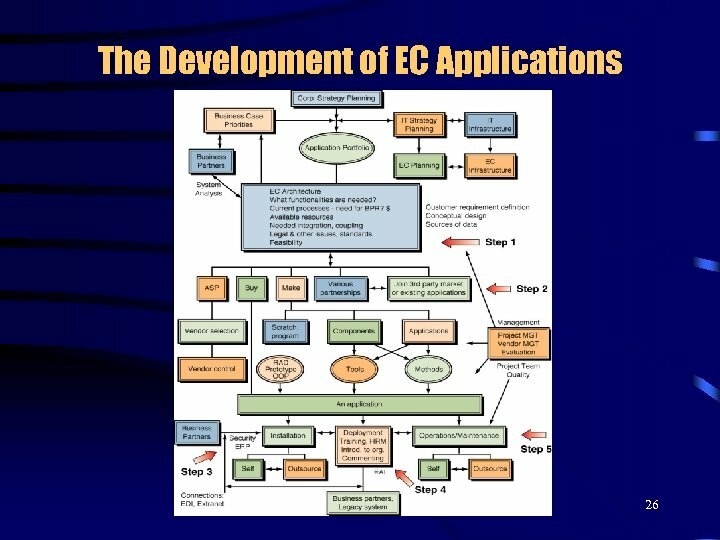 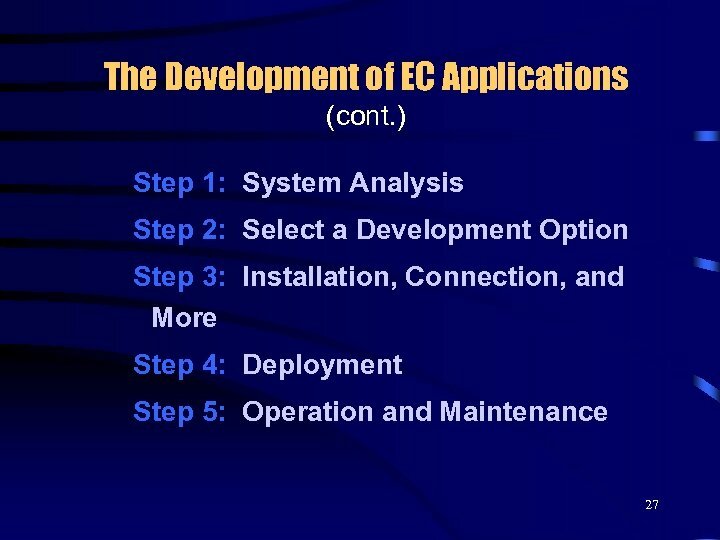 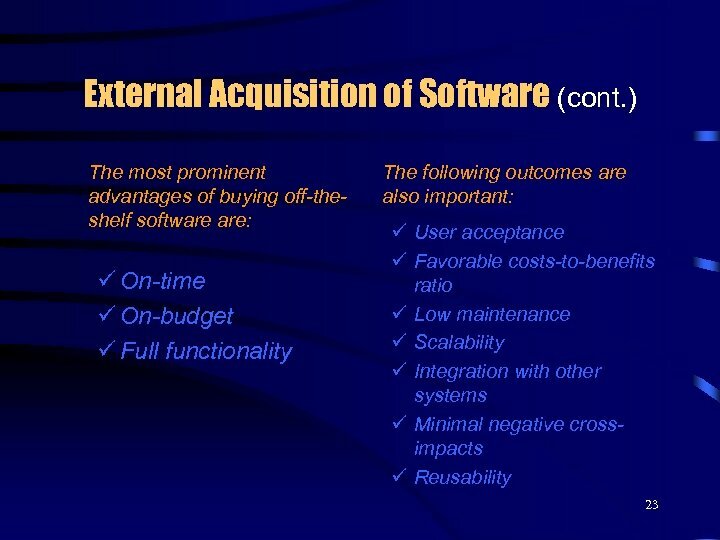 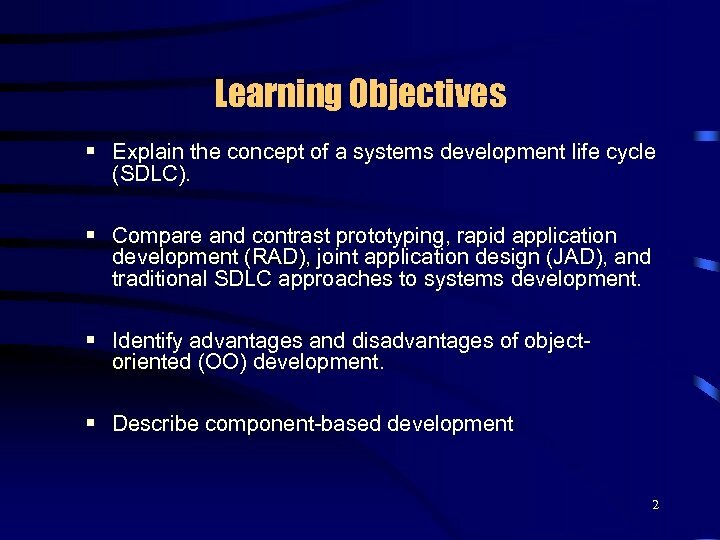 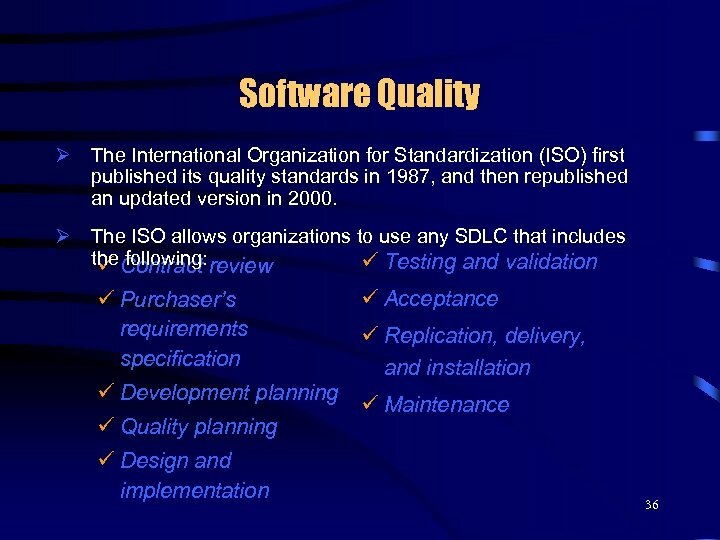 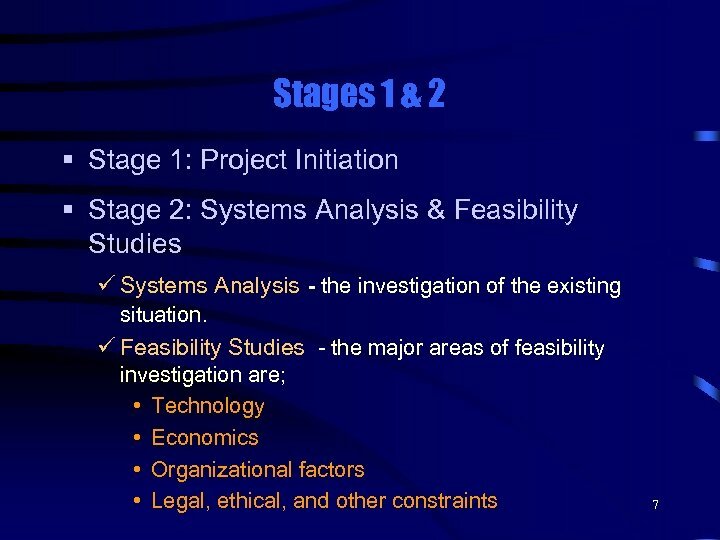 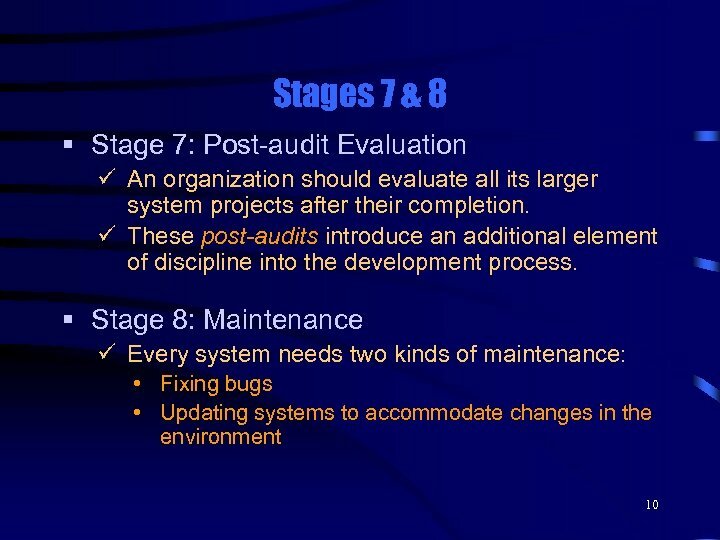 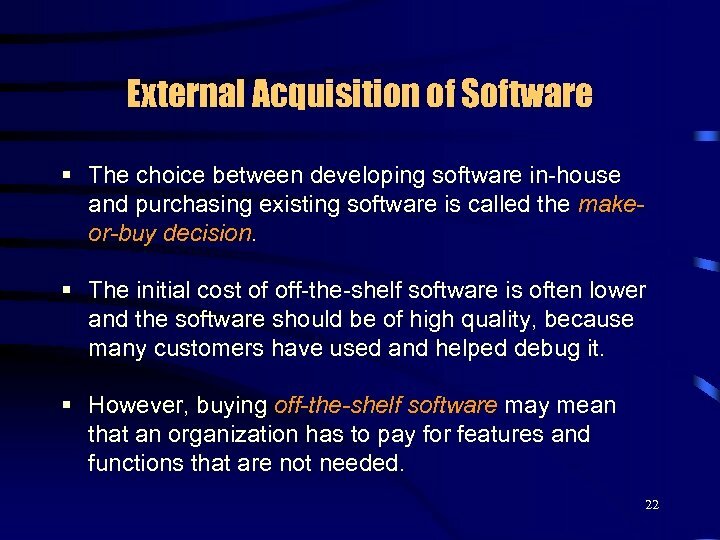 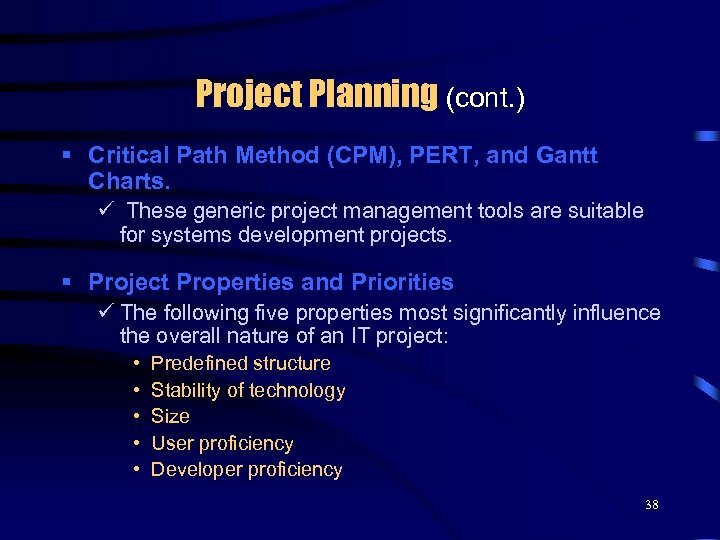 Ø JAD is most often used within the systems analysis and systems design stages of the SDLC. 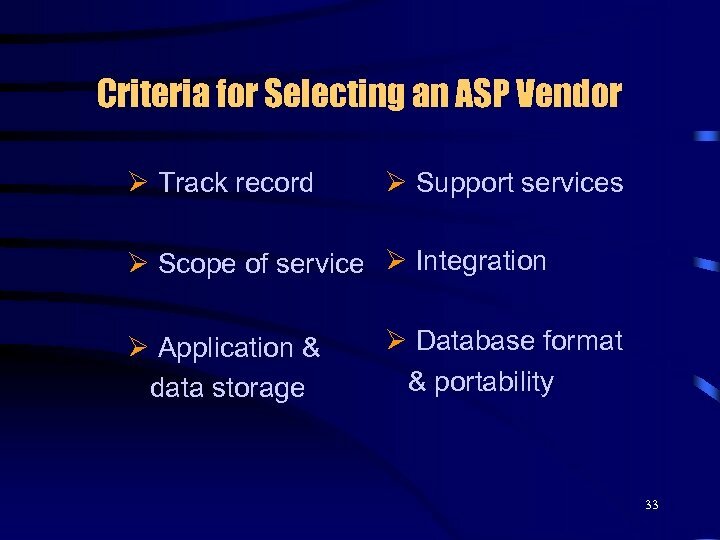 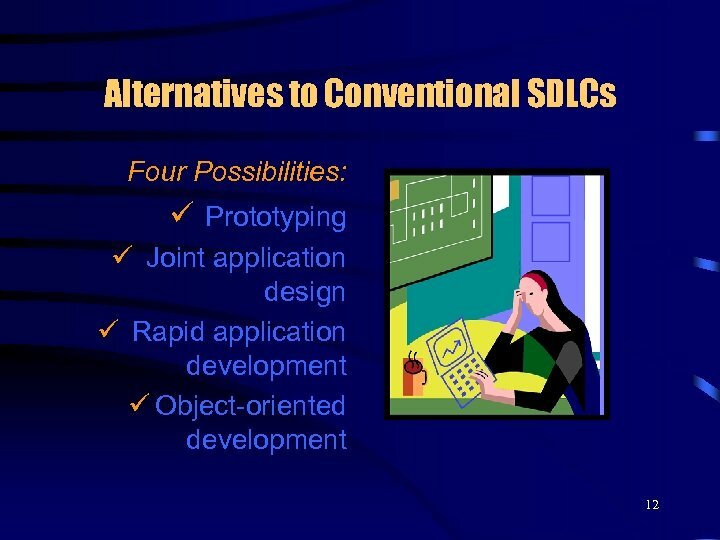 Ø In contrast to the SDLC requirements analysis, JAD has a group meeting in which all users meet simultaneously with analysts. 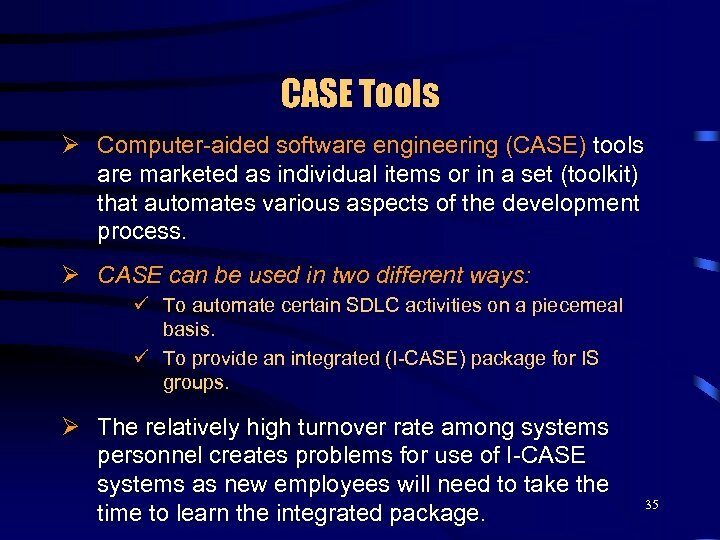 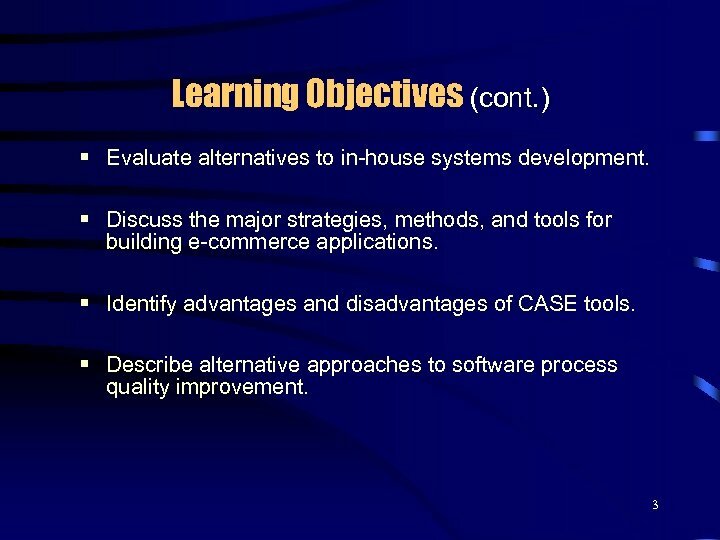 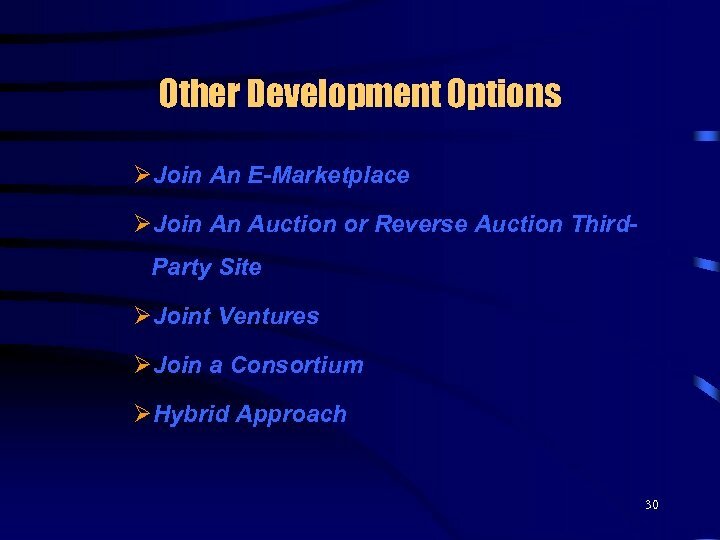 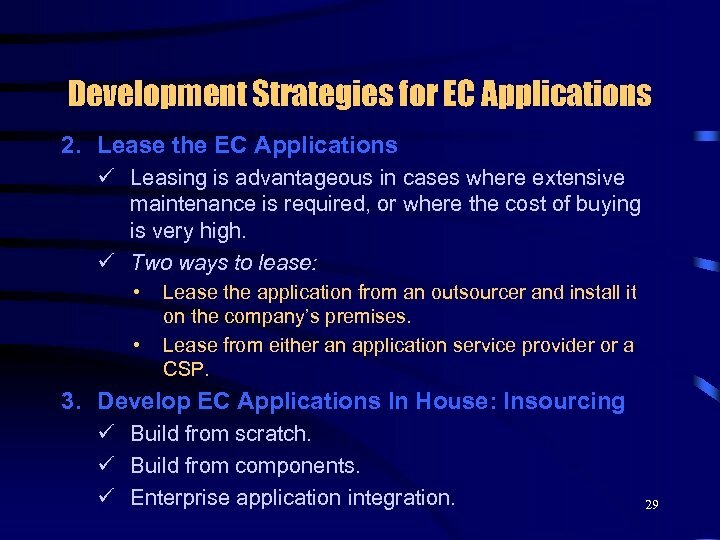 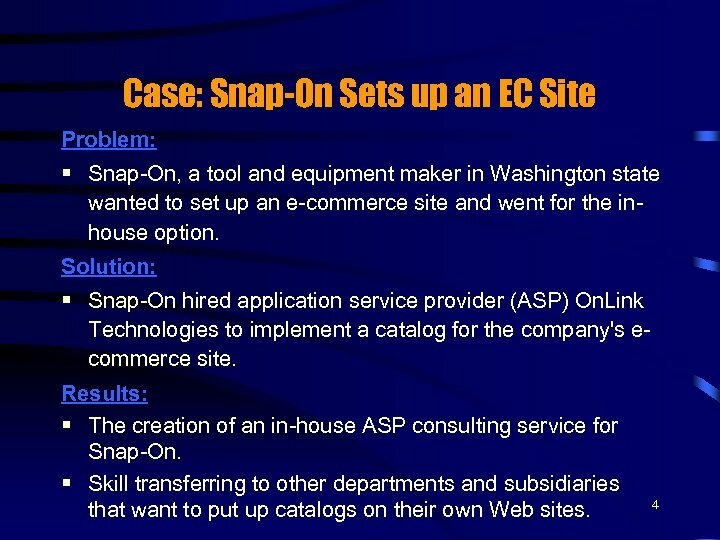 Ø An electronic JAD session can be conducted offsite/online with technology support. 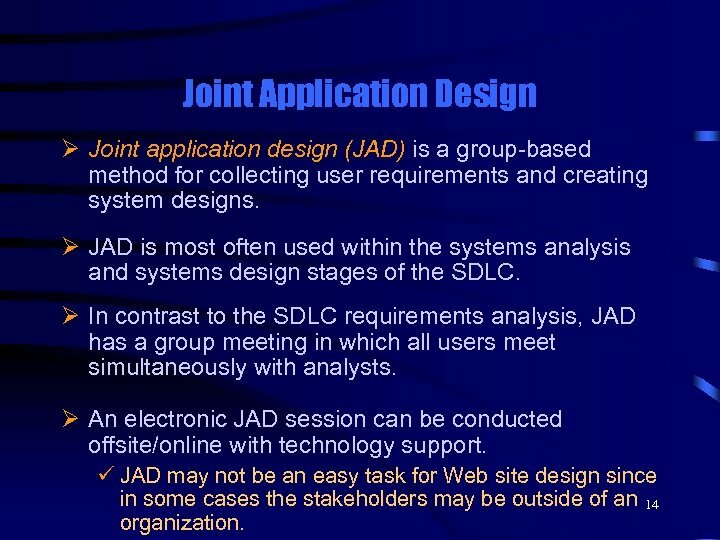 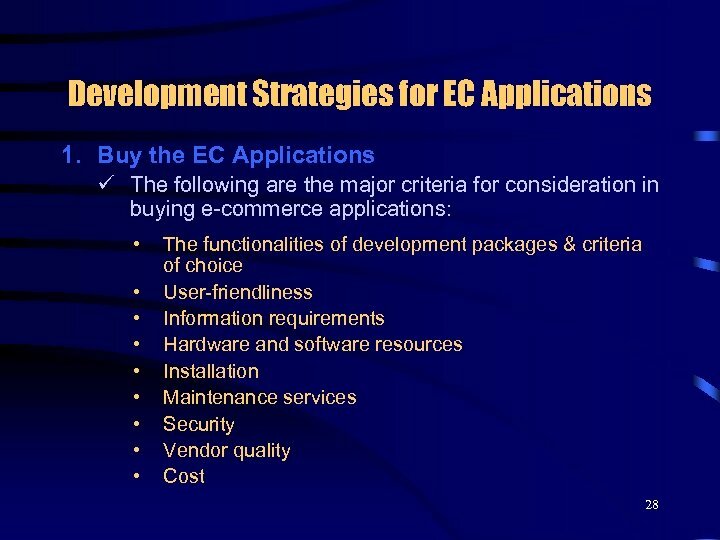 ü JAD may not be an easy task for Web site design since in some cases the stakeholders may be outside of an 14 organization. 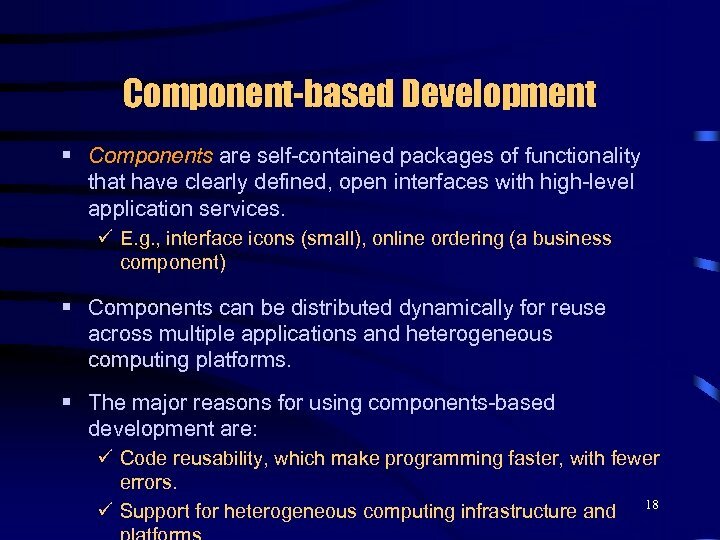 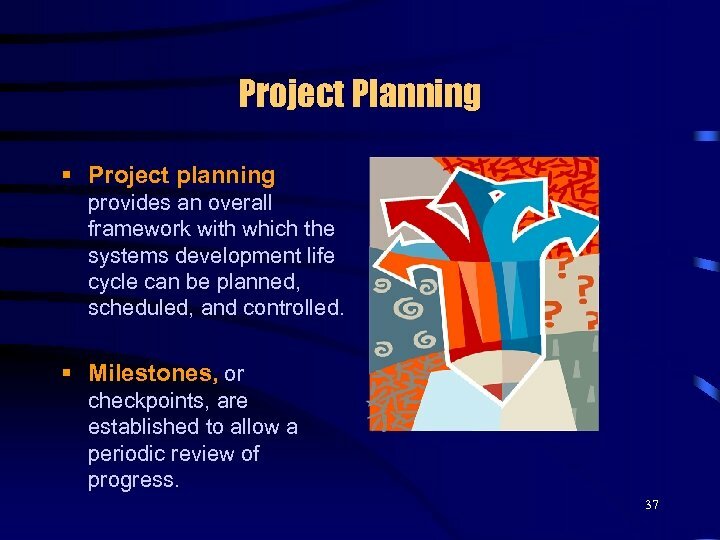 Object-Oriented Development Ø An object-oriented (OO) system begins not with the task to be performed, but with the aspects of the real world that must be modeled to perform that task. 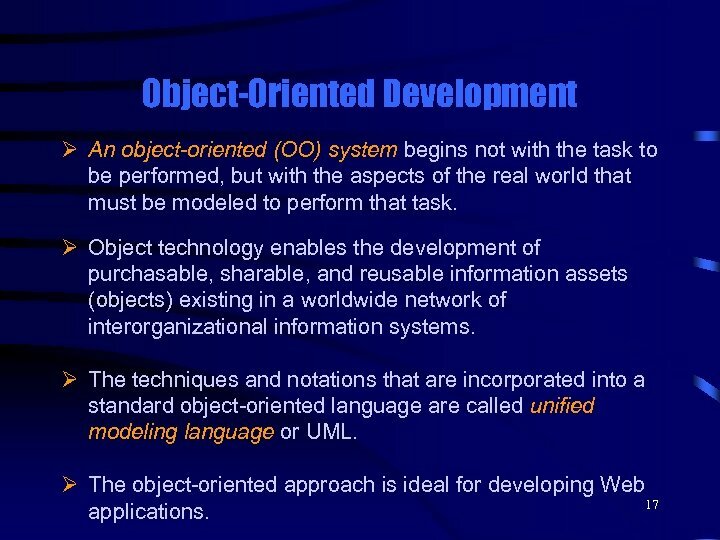 Ø Object technology enables the development of purchasable, sharable, and reusable information assets (objects) existing in a worldwide network of interorganizational information systems. 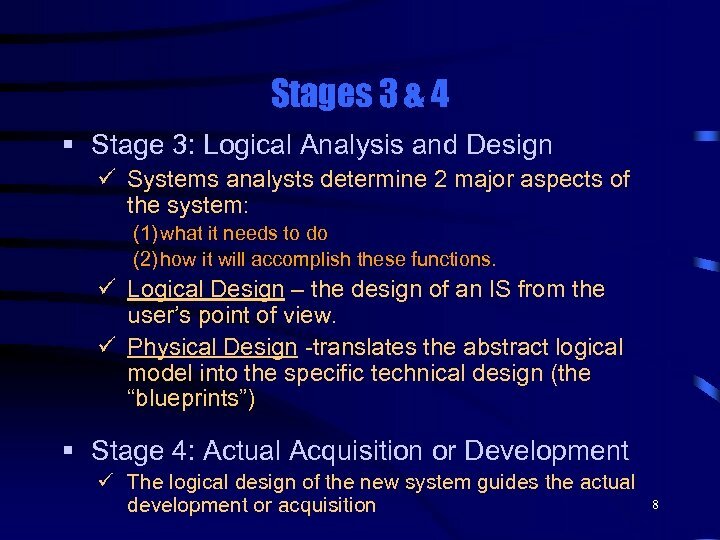 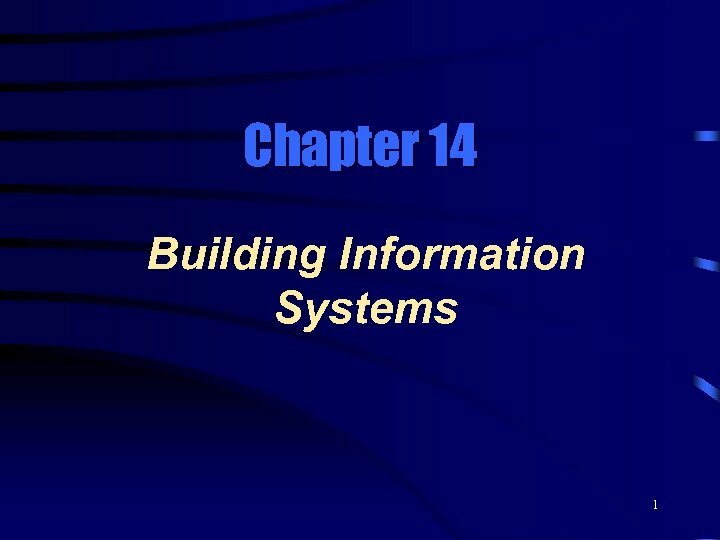 Ø The techniques and notations that are incorporated into a standard object-oriented language are called unified modeling language or UML. 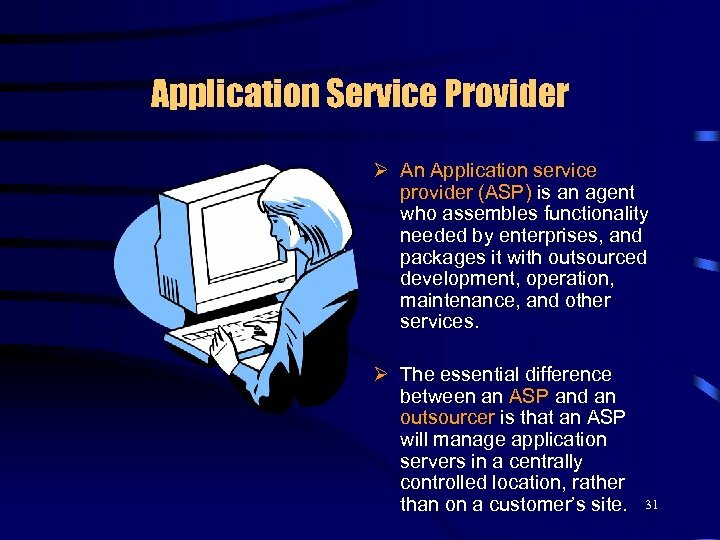 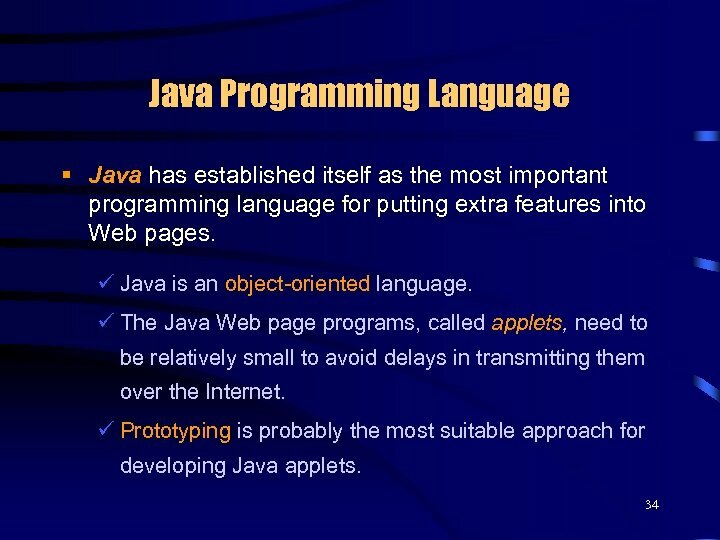 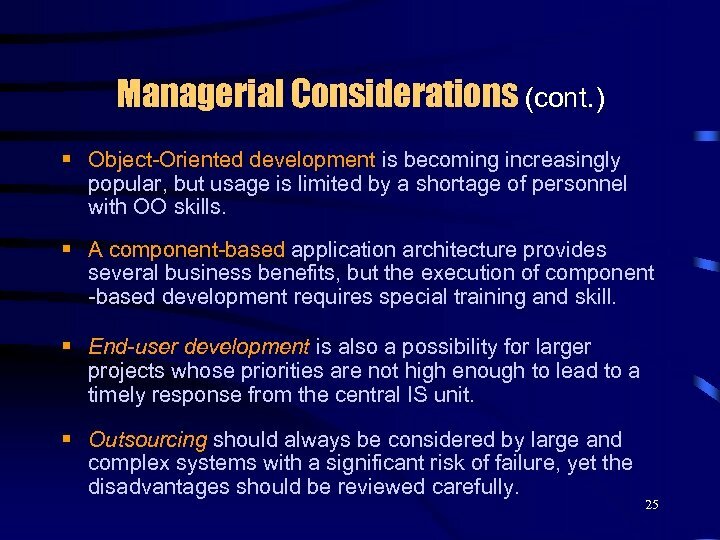 Ø The object-oriented approach is ideal for developing Web 17 applications. 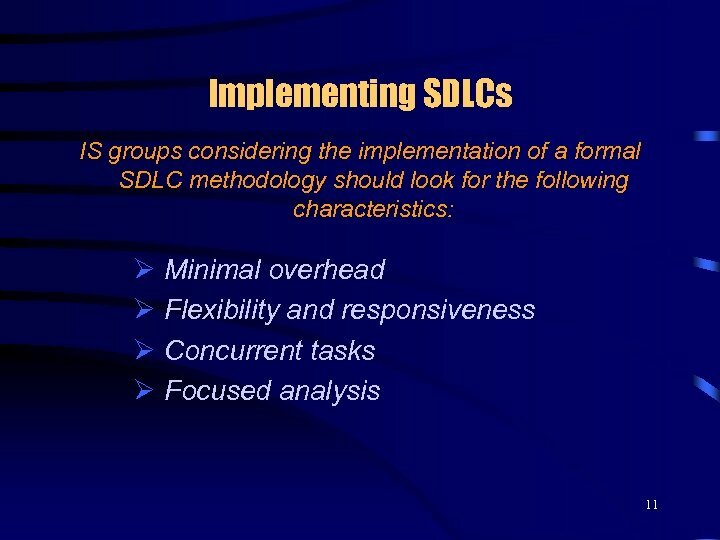 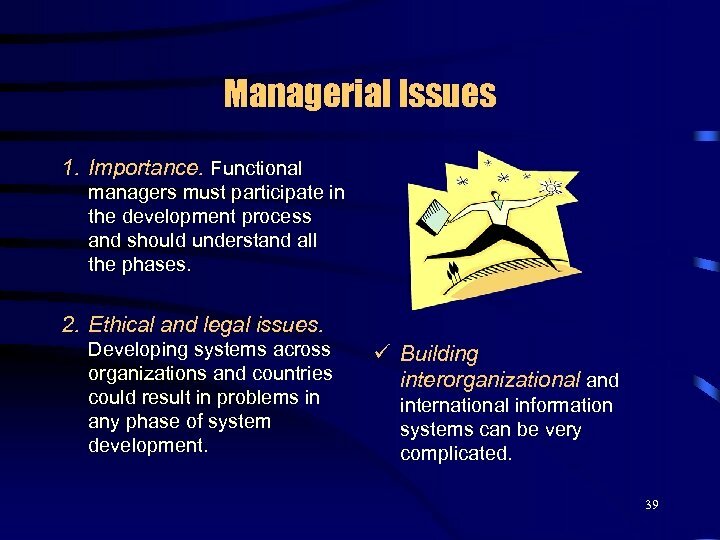 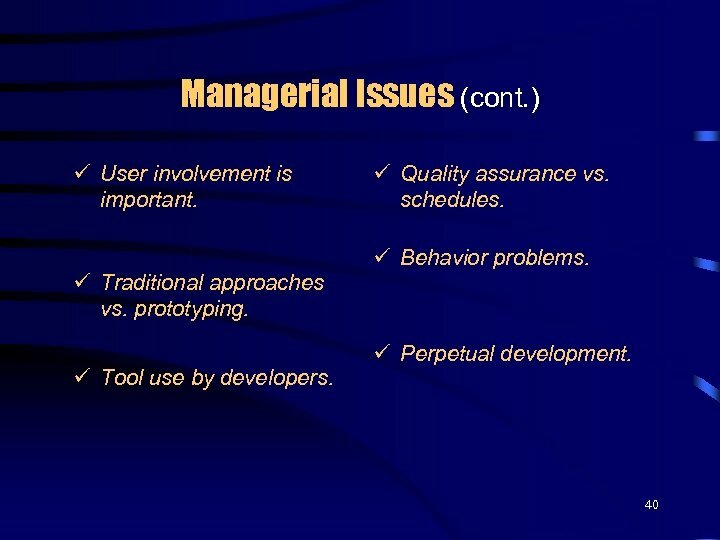 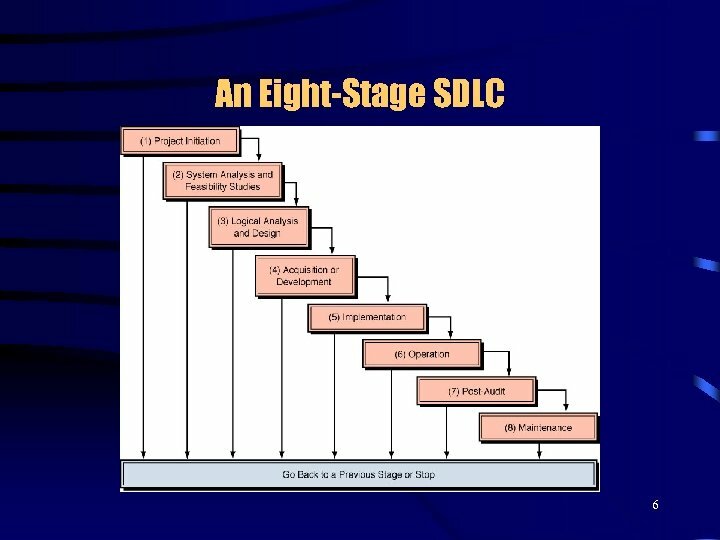 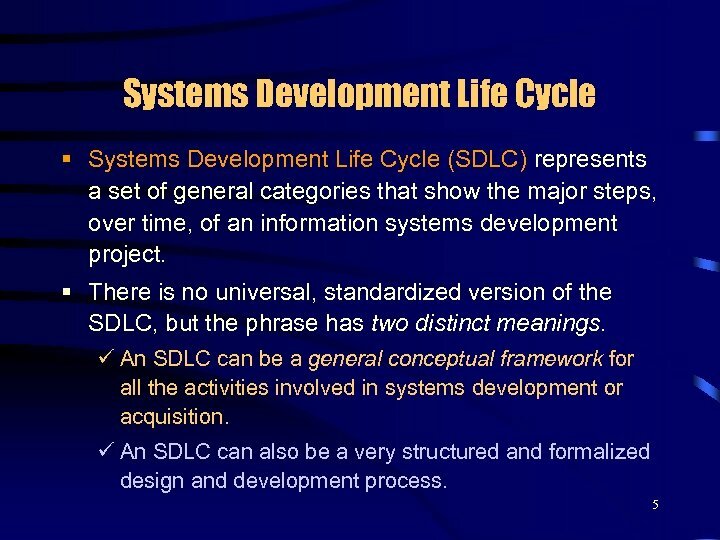 Managerial Considerations § The traditional SDLC approach often works well for large projects with well-defined requirements, where there is not a lot of time pressure. 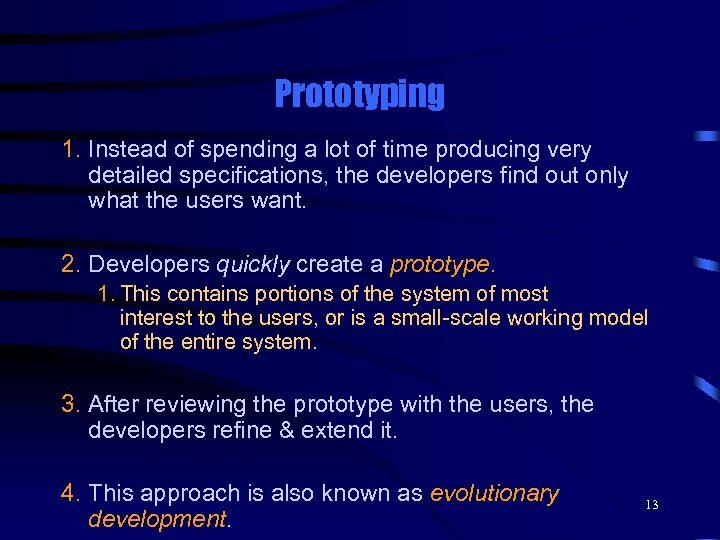 § Prototyping requires effective management to make sure that the iterations of prototyping do not continue indefinitely. 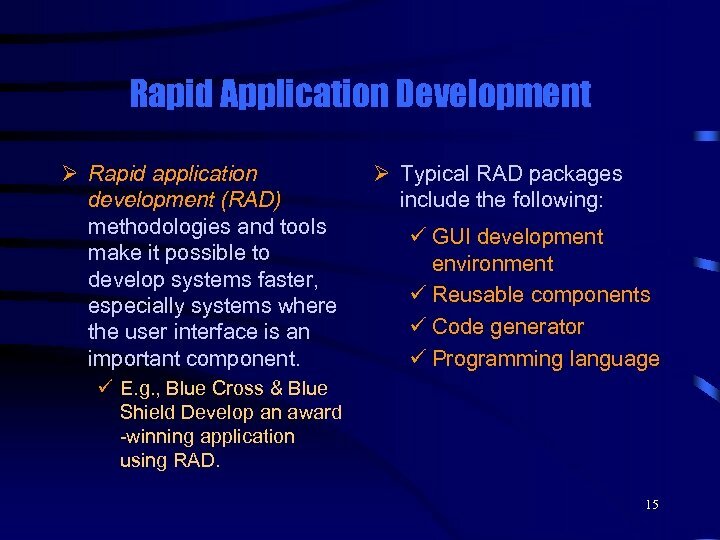 § RAD may be less appropriate than conventional programming languages for larger projects, or those with a lot of real-time processing. 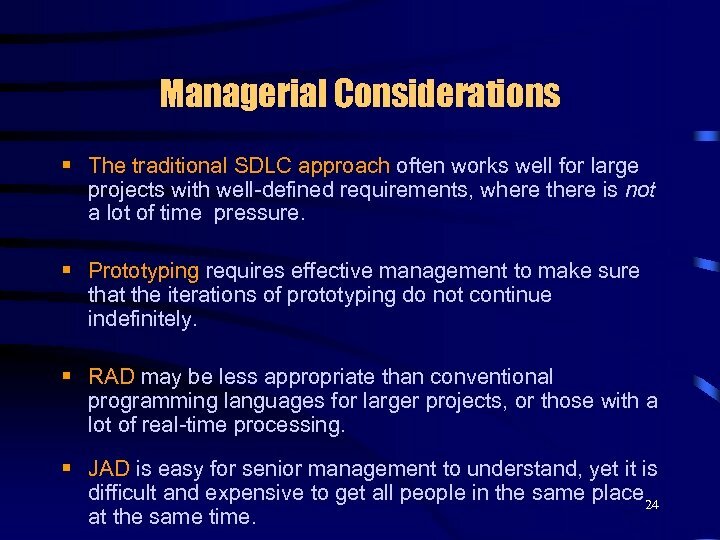 § JAD is easy for senior management to understand, yet it is difficult and expensive to get all people in the same place 24 at the same time.